a) that President Emmerson Mnangagwa's trip to Davos, Switzerland was a waste of time and resources. "He goes to Davos without a product to sell. He's trying to ask the world to come and put money into Zimbabwe when the evidence that is there for these people to see is that he cannot preside over managing Zimbabwe's resources properly. It's totally irrational," Dr Moyo said. Last year, when Mnangagwa made his maiden Davos appearance with his "Zimbabwe is open for business!" mantra the world had listened out of curiosity. Investors had shied away from Zimbabwe for decades because the country was a pariah state ruled by corrupt and lawless thugs. Investors are a shrewd lot, they were not going to take Mnangagwa's word that Zimbabwe was no longer a pariah state. They needed to see something more substantive to convince them Zimbabwe had changed. 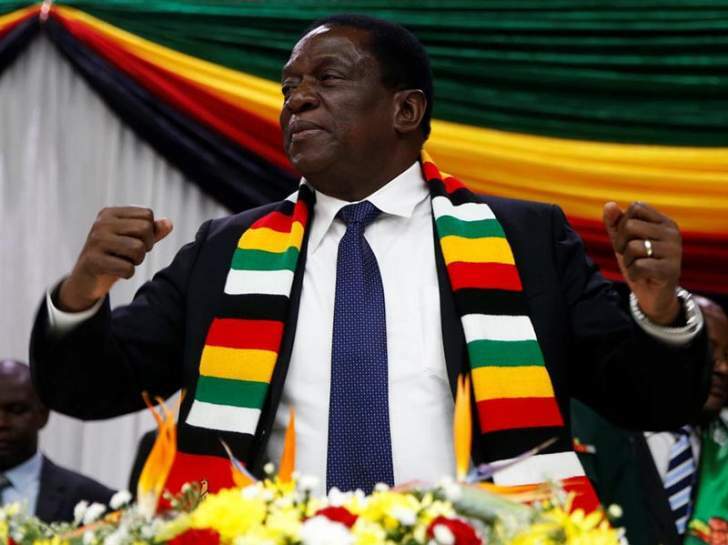 Mnangagwa promised to hold free, fair and credible elections; this was the acid test which if the country passed would convince investors that it was safe to do business in Zimbabwe. And so by blatantly rigging last July's elections, Mnangagwa confirmed that Zimbabwe was still a pariah state ruled by corrupt and vote rigging thugs. Until Zimbabwe takes the necessary action to end the country's pariah state status there will be no meaningful direct foreign investment coming into Zimbabwe. It does not make any sense for the country to be spending a fortune to attract investors whilst doing nothing to remove the obstacles forcing investors away. The NewsDay newspaper has estimated that Mnangagwa's trip will cost at least US$25 million. The hired jet for the trip will cost US$17,76 million alone. He has hired a luxury Boeing 787-8 Dreamliner jet to fly to Russia, Belarus, Azerbaijan, Kazakhstan and Switzerland. The trip start on 13th January and will end 22nd January, at the earliest. The jet costs US$74,000 per hour to hire. This is a criminal waste of money given the country is so impoverish it is paying its doctors less than US$200 per month and 3/4 of the population are now living on US$1.00 or less a day. Worse still, we already know the whole trip would accomplish nothing of substance. b) that we, Zimbabweans are our own worst enemy. "The starting point for Zimbabwe is to understand that we, Zimbabweans, destroyed our country. No foreigner destroyed Zimbabwe. We did," said Dr Moyo. We, Zimbabweans are to blame for allowing this Zanu PF dictatorship to become the all powerful monster it has become and for the regime to last this long, 38 years, and drag the nation this deep into the economic and political abyss. We have had many golden opportunities to end the Zanu PF dictatorship but have wasted them all. Morgan Tsvangirai and his MDC friends had five years to implement the democratic reforms during the 2008 GNU and failed to get even one reform implemented. Not one! And yet many Zimbabweans continue to slavishly support the party. Nation get the government they deserve and we, in Zimbabwe, certainly deserve this corrupt and tyrannical Zanu PF dictatorship complete with its entourage of corrupt and incompetent opposition parties - all 130 of them at the last count. When even opposition presidential candidates including Dr Nkosana Moyo himself, do not even have the common sense to demand that ZEC must produce a verified voters' roll, something as basic and essential for a meaningful election; it is not surprising why the country is in such a mess. Worse still, unless the nation snap out of its sloth-like mental slumber there is no getting out of the mess!